I try to apply these 13 maxims whenever I lecture. Know thy audience. Address the people before you, not some imagined, idealized group. They are giving their precious time to hear what you have to say; make it worth their while by tailoring your presentation to their concerns. Respect thy audience. Even if they’re kindergartners, assume they know as much as you—if not more. Be grateful they’re there and remember that you’re there to serve them. Address a central issue. Avoid taking on the universe in the brief time allotted. Tell the audience the question you will answer or the issue you will address. Map the lecture. Let the audience know upfront where the lecture is heading. Give a brief overview. Keep it brief. Hit the supporting points immediately. People do not want to hear experts drone endlessly as if engaged in a monologue. Pace yourself. This tip does not contradict the previous one. People need to hear what you say, and some do not efficiently process information they hear. Take your time. Tell war stories. People enjoy hearing the well-placed illustrative anecdote. Keep it brief and ensure that it drives home a key point. Use humor. We all appreciate someone who can make us laugh. When appropriate, bring humor into the presentation. Use visuals. Allow pictures—but not paragraphs—to dramatize or support what you’re saying. Pictures are more memorable than words. Rely on verifiable facts. Whatever you say, be prepared to cite the source because you will be challenged. Engage the audience. Let them participate, even letting them become co-lecturers if it makes sense. Look for opportunities to give them individual or team exercises and debrief on all such activities. Appreciate the silence. If your question to the audience results in a dead silence, wait for a response. Maybe the question is so profound that people need time to reflect on it. Never answer your own question. Deliver on all promises. If you say, “I’ll speak for five minutes,” then don’t speak for six. If you say, “I will prove that by the end of this lecture,” then prove it. Be your word. These days we write nearly exclusively on computers and smartphones, most often by email. For this reason, I request computers for course participants, as well as a computer with PowerPoint and a projector for myself. I also ask for a flipchart to show examples and highlight points not appearing in the PowerPoint or manual. Having an internet connection in the facility also proves beneficial so that participants can email their writing assignment to me, and we can then project it to the entire class for review. I also browse helpful websites for writers during the course. Interestingly, those who might at first find such a critique of their work nerve-wracking later say how helpful the experience was. When I first became a writing consultant, I worked for someone who encouraged me to use gag handouts, usually malapropisms, spoonerisms, palindromes, anagrams, and other such nonsense. Her theory (and that of many trainers) was that course participants want—no, need—to enjoy themselves to learn. Out came her diagrams showing how by stimulating those fun-loving endorphins, we would spur the learning experience exponentially. So why do I call such handouts nonsense? Because they are. I keep away from them, as well as silly koosh balls, slinkies, and other toys of the day. I simply do not buy into the theory. I have a great time teaching, and I want people in my courses to enjoy themselves too. But companies pay a lot of money and participants put a lot of their work time into my courses for one reason: to improve their writing skills. So if anything I do detracts from their learning, out from the course it goes. People still have fun in my classes because we consistently seem to find our common sense of humor through looking at the relevant topic discussions and writing activities. Life and the language we use to express our experience are funny enough without wasting times and money on foolish jokes and toys. We’re obsessed by our smartphones as it is—do we need more distractions? One more point about materials. Some trainers feel that they should not hand out materials until the point in the course that they’re used. I disagree. The more you give participants, even weeks before the course the more involved they become. Allow enough practice time. Although I like to prepare for presentations just hours—and even minutes—before delivering them, I allow far more time days before the presentation. I have heard stage directors and actors say that they need one hour of rehearsal time for each minute of the play. Obviously, busy presenters just don’t have that kind of time. I do not keep a time formula for practice, but I do abide by this fundamental premise: Practice until I can do the whole thing by memory. Time the presentation. This tip is critical. Time management problems happen in an instant; therefore, I break down the presentation by topic or activity in blocks of time. I then calculate the entire time and make additions and subtractions to conform to my allotted presentation time. Select audience questions carefully. I want to make these questions challenging enough to engage the audience, easy enough not to intimidate them, and purposeful enough that I can reinforce my points. I practice my responses when getting the answer I want as well as the opposite. Pilot the presentation. Since I am in a one-person business, I rarely get such an opportunity. However, I never pass on it if it is available, and I don’t shy from asking friends or colleagues to sit through at least the part of my presentation where feedback would be helpful. They appreciate my respecting their opinion and never hesitate to tell me what they think I’m doing wrong—and most often they’re right. Visualize the audience. I try to think of myself as an audience. What would I want from the presentation if I need it for my job? If I were attending grudgingly only because my boss required me to? If I were a know-it-all? If I had a political axe to grind? If I were attending with a friend and saw it as an opportunity to socialize? If I were a slow learner? A fast learner? A nonnative speaker just learning the language? Someone fixated on my smartphone? I have had all these sorts in my presentations, so I try to strike a balance that addresses such a mixed bag. Practice for contingencies. These include the projection screen being unavailable, gaining time because the audience moves quicker through the presentation than expected, losing time because of fire drills or tornado evacuations, getting the wrong location or the wrong time, being asked at the last minute to reduce or expand my presentation time, and dealing with disruptive people. All of these and more have happened to me, so I remind myself that I need fillers for expanded time and shortcuts for contracted time. Actionable – The objective must be a do (e.g., write, revise, create), not a know (e.g., learn, understand, know), so that students can prove by example that they have learned. Attainable – The objective should be realistic, one that the students can achieve during the course. Attaining this goal increases the likelihood that they will replicate it back at their office or home. Challenging – The objective should also make students stretch themselves, as writing success comes from hard work. The more challenging the task, the greater the sense of accomplishment. Assessable – The objective needs to be measurable; therefore, the task needs to be specific (e.g., separate ten sentences into three paragraphs in a logical order, each starting with the main point). Applicable – Whatever I teach has to be relevant to why students are there. Since most of my teaching is to corporate employees, I try to use actual examples of student work-related writing samples. System – Being flexible in the class means being prepared with different ways of teaching a point, even if I don’t need to use those different methods. My system should include a good mix of lecture, class discussion, individual work, and teamwork. 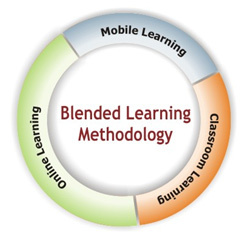 Also blended learning comes into play. When feasible, I provide in-class, coaching, and online learning opportunities, both synchronous and asynchronous, before, during, and after the course. Content – I choose content not based on what I know but on what my students need to know. This means that I need to profile the learners to the extent that I can. Why are they coming to the class? What do they know? What do they want to learn? How can they use it on the job? Depending on the answers to those questions, I select from my library the most relevant content and research additional useful material. Arrangement – The material needs to evolve in a way that helps learners build on previous learning. I sequence the course content to help students handle increasingly challenging situations. In general, I teach a point, let them practice, debrief on the point, and transition into a related more complex point. Review – Activities must include many opportunities for students to practice what they are learning. We learn to write by writing not just by listening and speaking. In planning the course timing, I aim for at least a 50-50 split between lecture/discussion and individual writing/team review assignments. I also allow time for questions about related material that may not be in the course content. If it’s related, I should address it during the class; if it is not, I should address it during the break or after the class. Finally, I reflect on contingencies. If running ahead of schedule because of fewer questions, I reemphasize content through additional practice opportunities; if running behind schedule because of more questions, I determine what content I can de-emphasize without missing a vital teaching point. With those five guiding principles, OSCAR, I know I will leave nothing out, I will deliver to my audience something of value, and I will address their concerns as the course progresses.